Adriana has over 18 years of experience in the telecom market. She has extensive operational experience building and managing teams for the deployment and operation of several different systems and networks including OmniTracks, Globalstar, BREW, gpsOne, and CDN. She worked inside Telefonica for more than a decade managing international projects at TELEFONICA Vivo and TEmpresas in Brazil (Rio-Sao Paulo); TEF Multinationals Miami + (SFO– NYC – LAS – LAX); TEF wholesale Spain and TEF R&D (Madrid-Barcelona) where she spent the last five years working in the Strategy department focused on building TEF’s partnerships and managing external third-party companies that included Qualcomm, TCS, Juniper, HP, and Tuenti. Adriana holds an specialization from ESADE on Turning Technology into Business Program another one from IE on Technology Transfer Program- IP Regulation and Licensing and a MBA from IEDE/Universidad Europea Madrid She also holds M.S. in Marketing from the UFGV Sao Paulo, a Master of Engineering degree from UNB, Brasilia, as well as Bachelor’s degrees in Electrical Engineering at the same University. 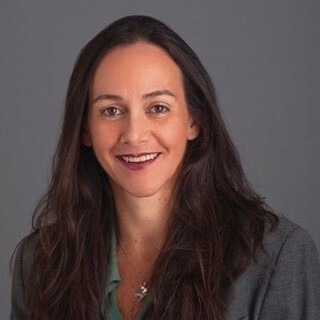 Speaks English, Portuguese, Spanish, Basic French, Italian and Mandarin.Adriana also performs pro bono working with early stage companies; she is involved in process of portfolio/competitors tracking, evaluating their technology and the viability and consistency of the business plans at Conector.